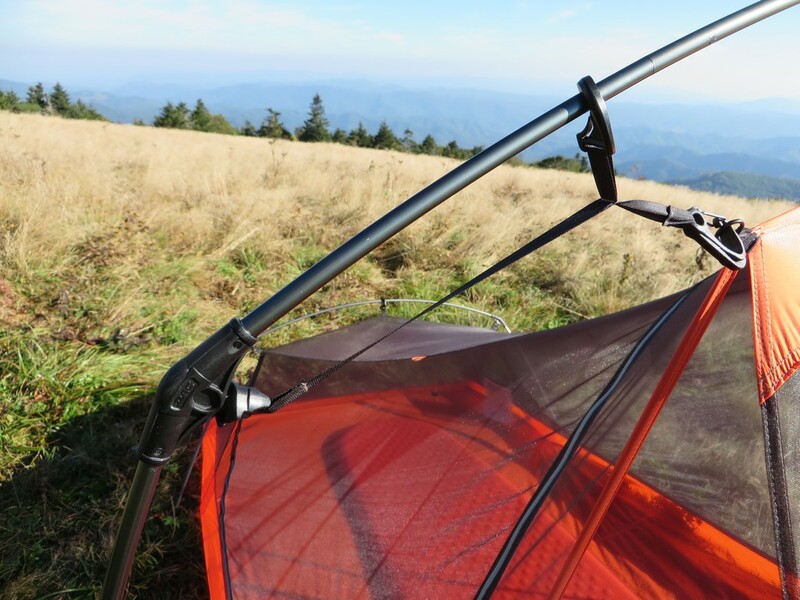 Slingfin is new to the backpacking scene, but it’s designer is not. Martin Zemitis has been in the industry 33 years now, working with other industry leaders to design their gear. Now, he’s free to produce his own designs. The 2Lite tent is one of the results of that freedom. The 2Lite comes in two variations, one that pitches with trekking poles and one that includes a full pole for setup. 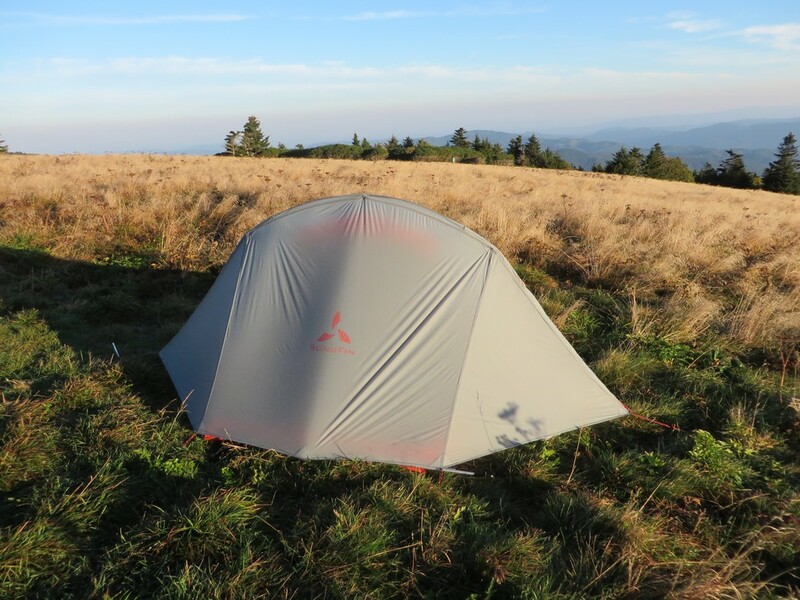 Tested here, the standard 2Lite is an ultra-light, non-freestanding shelter with full mesh walls and a full coverage rainfly with two vestibules. The tent utilizes two aluminum poles; a large hoop like pole at the head and one smaller pole at the foot. The larger pole arches wide and extends into the two vestibules, enhancing storage space and also improving stability. The tent fly is 15D nylon ripstop and the floor is a thicker 20D nylon ripstop, while the entire body is a breezy 15D mesh . The tent houses a peak height of 41″, a length of 89″, with a floor area of 28.5 square feet at 50″ wide at the shoulders. The packed weight comes in at 2 lbs 14. oz, and it retails at $338. I couldn’t seem to get the sag out of the tent body, especially evident here. The 2Lite is supremely light weight at just under 3 lbs, but still manages to hold up well to the elements. This is largely thanks to the large arched aluminum poles. Built from DAC NSL (8.5mm), the main pole arches around the tent, creating a large almost circular shape that produces an even tension all around the perimeter. This creates a resistant frame that holds up nicely in moderate winds, resisting caving in and holding it’s shape without creaking or moaning. The clip system secures the body snugly to the poles, and helps even out tension across the frame. A tensioning line, located inside the tent for easy adjustment, allows further fine tuning without leaving the tent during a storm. A clever clip system provides even tension, and eases the pitching process too. The build overall is also quite nice, using a high quality 15D rainfly and body that is light weight without feeling frail or flimsy. The corners are reinforced, and the entire tent is carefully balanced. The designer avoided using webbing and tensioners that are designed to hold up to hundreds of pounds of tension, instead relying on slimmer but adequately durable lines that closer match up the much lower tearing strength of the nylons actually used in modern tents. What’s the point of webbing that will hold your weight if the tent body it’s connected to can only handle a few pounds? This cuts weight, without adding unnecessary strength and bulk. Well balanced design, with reinforced corners and reducing staking hardware. Livability is also good. The tent is roomy enough for two campers to happily rest inside, thanks to the wide shoulders, generous length (89″) and a tall 41″ ceiling. It’s sufficient enough for two campers to sit up and get things done like changing and rummaging through equipment without causing too much disturbance between one another. The vestibules were always large enough to hold all of our gear, especially once you realize that the well placed poles can be used to rest a fairly packed backpack up against vertically instead of laying it out flat, which saves a lot of ground space. I was able to keep my entry free of obstructions at all times. The wide doors are pretty easy to get into and out of, mostly due to the long rounded zipper that extends deep into the foot of the tent, and the large included pockets at the head and one at the toe of the tent provides plenty of storage. Setup is super easy, requiring only 7 stakes to get a solid pitch. Simply stake out the body, insert the poles, clip to body to it and throw on the rainfly. It’s easy enough that one person can easily set up the tent while their companion frolics in the fields taking photos of flowers and butterflies(You know who you are). Condensation was fairly well managed, with a nice breezy body allowing plenty of airflow for most humid nights,and the double zippers can be unzipped from the top creating a makeshift vent along each vestibule door. The same breezy body is fantastic for star gazing and the occasional meteor shower. Priced great, the 2Lite retails at just $338 dollars. It’s certainly one of the best values in it’s weight class. 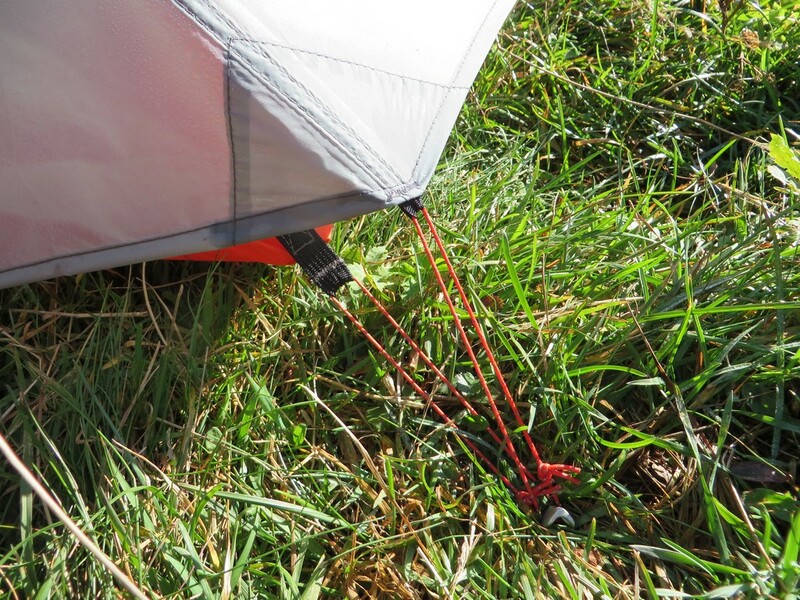 While the tent pitches stable and holds up well in the wind, I was never able to get a fully taut pitch. Countless attempts of manually adjusting the knots and stake out points resulted in wonderfully taut seams, but a somewhat saggy body anyway. This was especially prevalent in high humidity or when the tent was wet from humidity, as nylon stretches when soggy. This results in some light flapping during wind gusts, but wasn’t enough to keep me awake at night. A little experimenting showed that an added tensioner and guy point located at the middle of the foot of the tent would help, if you’re the crafty type. The tent also included a couple guy lines, but no additional stakes to pair them with, and no obvious guy out points either (aside from attaching them to loops designed to roll back the door, which only worsened the slacking body). The same saggy body would often result in a condensation soaked (unavoidable in some of the areas I camp) fly, which would contact the mesh at the head and foot, resulting a wet sections. It was manageable, and never made it to my sleeping bag or gear, thankfully. Taller testers (5’10” and up) were found wanting a tent door that opened up slightly higher, as they would have to rotate out of the tent, and duck and crawl out from under the vestibule. The 2Lite from Slingfin is a solid shelter. It’s very light weight, at just under 3lbs, and still manages to provide good livability thanks to the tall head, wide shoulders, extended length, and generous vestibules. The well balanced build and carefully selected materials held up strong with gusts of wind on exposed balds with no cover at all. Aside from the mildly loose pitch, there is no reason to not recommend the 2Lite. It provides an exceptional value and true reliability at a price point that’s hard to ignore. If you need low weight and good living space paired with a true double wall tent, it’s a good choice. I want to extend a big thanks to loaning us this shelter for review. Our full disclosure can be found here. 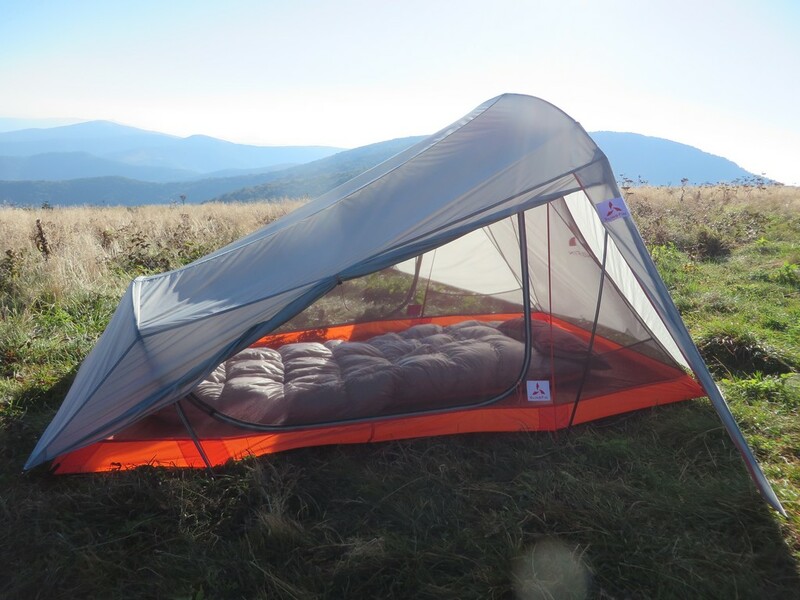 What do you think of this tent compared to the Tensegrite Elite? They seem to be the same weight, neither is freestanding. Which one would you buy? How do you think these compare to the Blaze 2P? The blaze is significantly lighter so wondering if it’s significantly smaller and more fragile? The Tensegrity Elite is an amazing tent. 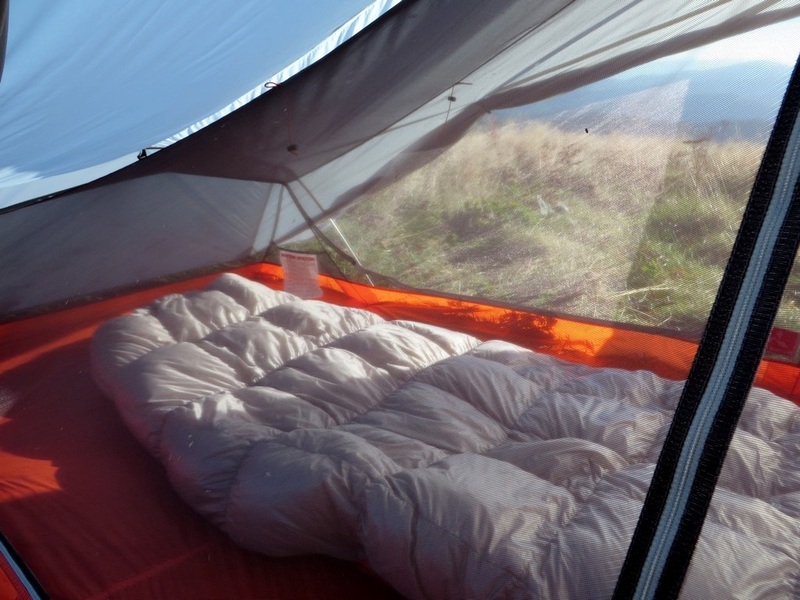 The materials, double sil nylon, is far better than what most tents utilize. This paired with the angle poles make it one of the most reliable ultra-lights, if not the most reliable, on the market. The Slingfin is pretty tough, but the Nemo will require some TLC. It’s super roomy though. My pic, the Tensegrity. Unless you plan on doing a lot of cold weather camping, as it’s super breezy. I’m having the same conundrum as Megan. 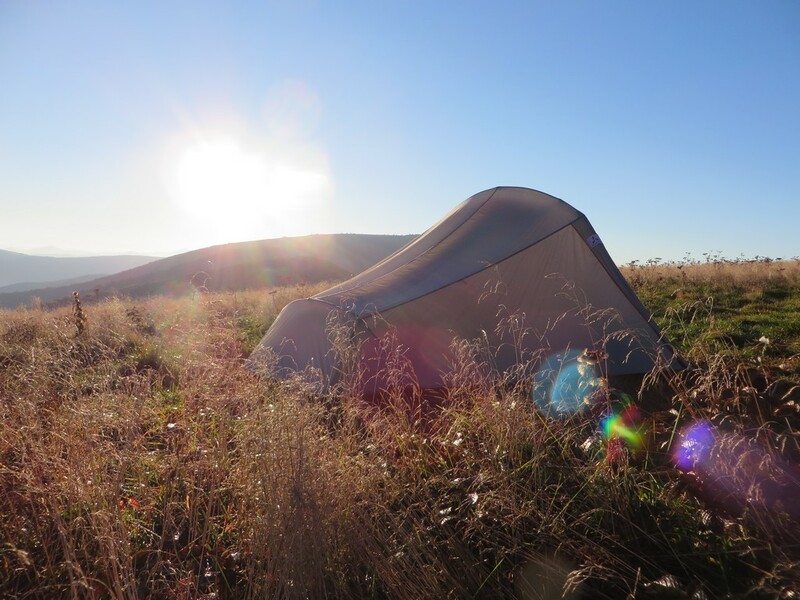 Trying to find that magical balance between light eight, livability, and weather protection… Been searching for a light weight 2 person tent for four months now. The 2Lite Trek is really interesting to me since it takes advantage of trekking poles I already carry for a little weight savings. The Nemo Blaze 2P seems like an awesome balance of weight/livability, but I worry about how durable the fabrics are, even for an ultralight. Also, the price puts it into territory where you’d have to start considering tents like the ZPacks Hexamid and Duplex. If the 2Lite could be pitched with the fly attached to the inner mesh so it would stay dry in the rain, I’d probably be sold on it. How do you think it compares to the Tarptent Stratospire 2? The Stratospire is a little heavier but has a huge amount of volume and also seems like it would be very strong in the wind/rain and light to moderate snow. Though I wonder how much more difficult it would be to set up right. I’ve been bouncing between these three tents for months! Thanks for reaching out Frankie. 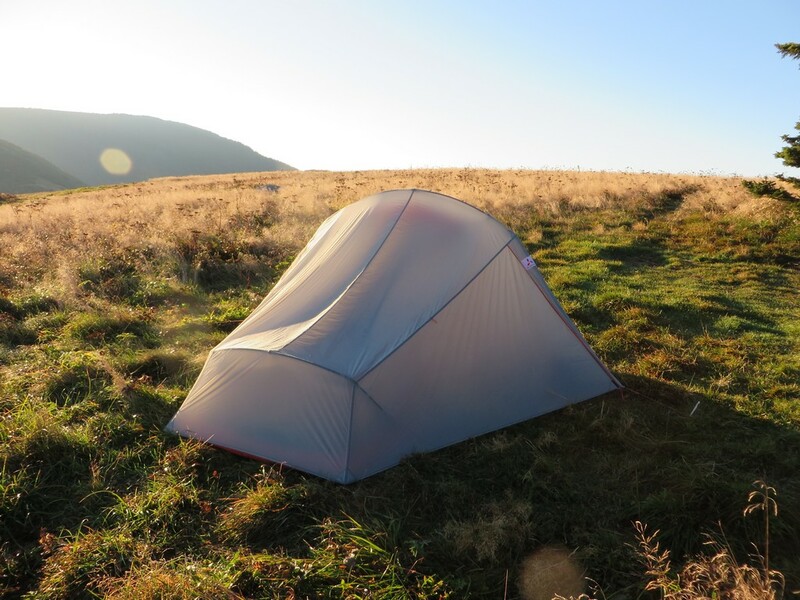 Tents are a huge purchase, and there is certainly a lot to consider. It doesn’t help that there are so many great options out there. I’m a bit fan of the 2Lite Trek, as it’s exceptionally durable and steadfast for it’s weight. I’m yet to formally test the Stratospire, although I have reached out to them to see if I can get a review model, but my biggest concern would be buffeting and flapping in the wind. Anything that large with so little frame work underneath, even if it holds up, will have a lot of motion in the body during a storm. This doesn’t bother some people, but I like a quiet tent. Both the Nemo and the Slingfin would, in my opinion, be bettter options for this reason. I would imagine a perfect pitch would rely heavily on the terrain with the Tarptent. Do you think it would be possible to pitch the Slingfin with the fly already attached? 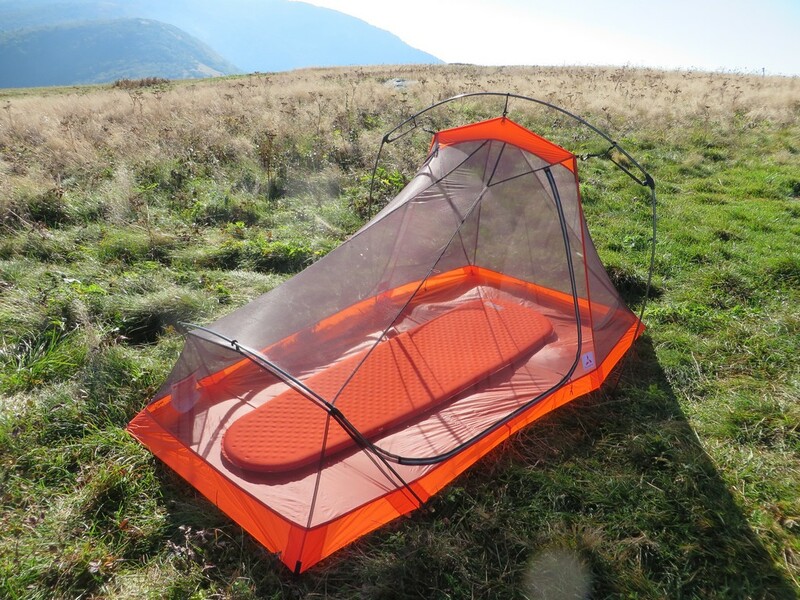 Maybe staking out the corners of the inner mesh along with the fly, then standing the tent up using the main poles or trekking poles in the case of the 2Lite Trek? I’m not sure that it’s possible due to having to attach the foot pole to the mesh body. It would probably be a less than ideal pitch in that case even if you did manage to get it up. Have you considered the Sierra Designs lightning FL? They pitch dry, and are very stable. Hello and thanks for your reviews! They’ve been super helpful as I’ve been looking into tent/shelter options. I’m almost sold on the Slingfin, but I was wondering if it needs the footprint, or if it does, would something such as a polycryo ground cover sheet work. The Slingfin footprint adds a fairly significant amount of weight. I’ve been looking for a 2 person, under 3 pound shelter that’s preferably double-walled since we live in the muggy midwest. I also like the ability of double-walleds to pitch without a fly on nice nights and have bug protection without the stuffiness of the fly (again, muggy midwest) + night sky views. I was looking at the Big Agnes options, but I’d be worried about the fabric if we were to bring our dog into the tent. The Tarptent Double Rainbow with the liner is another possibility, but I haven’t seen much on how effective the liner is. Any suggestions? Thanks for reading. I really appreciate it. I think you’ll do just fine without a footprint. They build their tents very well, and I’ve had no issues with durability without one. The only time I might make an exception would be with gravel, but at that point just try out some painters plastic as polycryo isn’t quite waterproof. In some situations it can saturate, and it’s thicker and heavier. 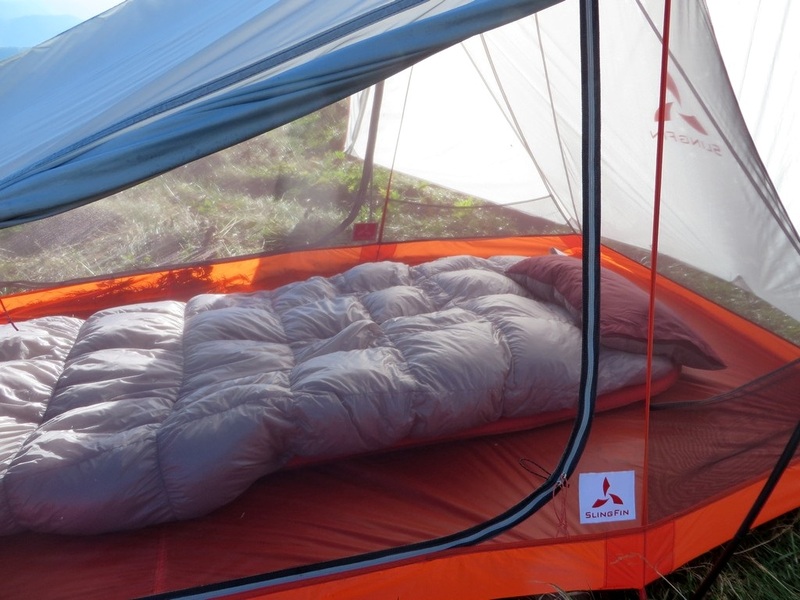 A BA tent might be a bit fragile, unless you look at their heavier options. Then, of course, you’ll be looking at more weight. I think you would be quite happy with the Slingfin. They’re wonderful tents for the weight. I’ve little experience with the Double Rainbow, so I can’t offer any advice there. Hopefully I’ve been of some help though! What do you think about this tent for more wet and windy weather? I am thinking of an example about Ireland and Scotland. It is often raining and the wind is stronger on less sheltered spaces. I am slightly afraid of tents, where two racks are not connected to each other. This tent should hold up O.K. in windy and wet conditions, however, if you expect to be in wide open areas where the wind can really pick up, you may want something more robust if this is a something you make a habit of. This tent is really designed to be below treeline, so some sort of wind cover is recommended.